We didn't bother with waking up at an ungodly hour to see the Tuna Auctions, nor were we going to queue for 4 hours from 5/6 in the morning to eat at Sushi Dai. 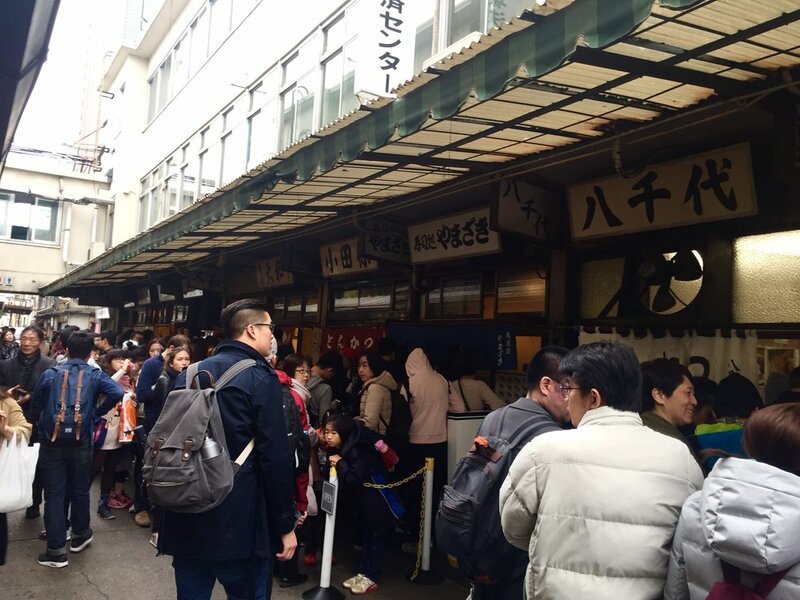 Instead we arrived at Tsukiji around 9am and queued for about 2 hours for Yamazaki Sushi 寿司処 やまざき. 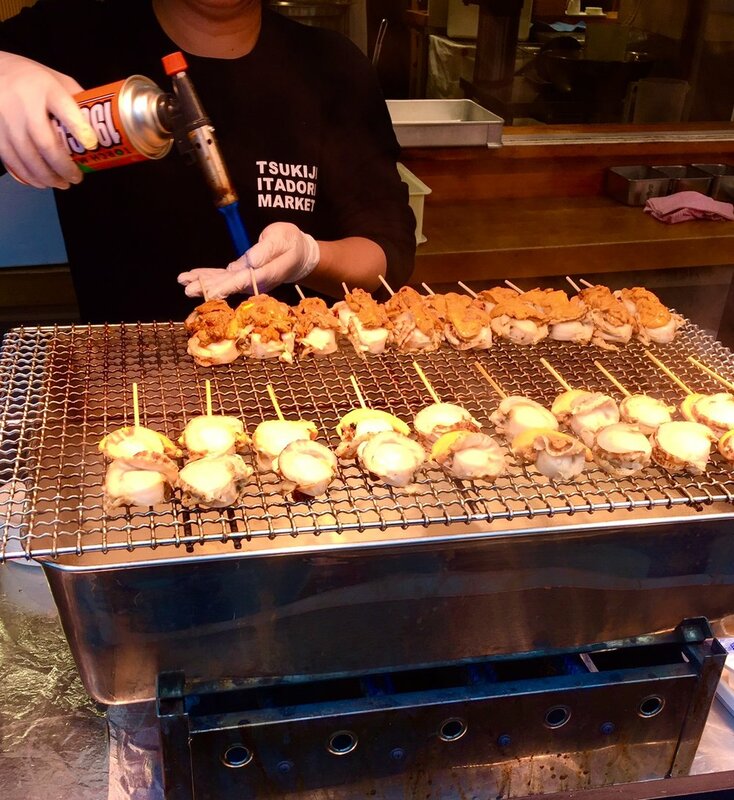 After the most incredible sushi we did try to squeeze a few street foods into our greedy stomachs. Please note my sister and I shared everything but there is no denying that we've got big appetites!